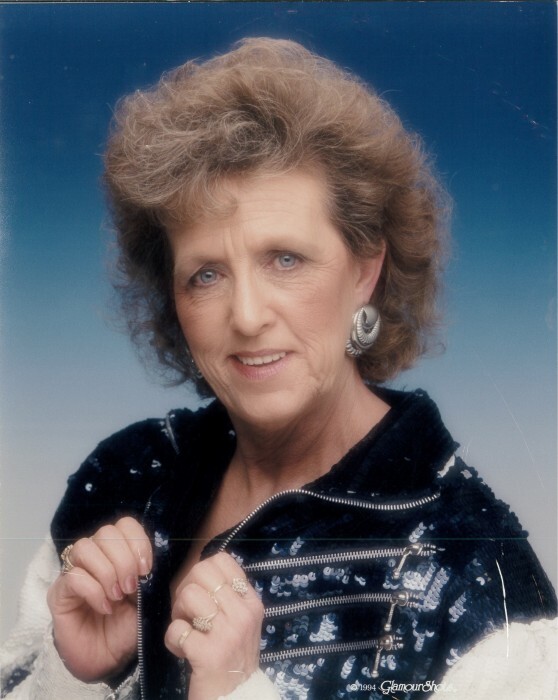 Mildred Ann Correll, age 78, of Centralia, Illinois, passed away at 7:55 P.M. on Saturday, January 19, 2019, at Fireside House in Centralia, Illinois. She was born on April 29, 1940, in Paris, Tennessee, the daughter of the late Gilbert and Anna Mae (Scott) Merrell. She married Jerry Correll, Sr. in 1964 in Centralia, Illinois, and they later divorced. Ms. Correll is survived by her daughters, Laura McDonald and husband T.J. of Centralia, Illinois and Valeria Smith and husband Tubby, Jr. of Centralia, Illinois; sons, Kenny Correll of Centralia, Illinois and Jerry Correll, Jr. of Centralia, Illinois; grandchildren, Brandon Tate and wife Lacey, Derik Tate and special friend Maranda, Mallori Tate and special friend Clint, Kellsei Tate and special friend Riley, Jayden McDonald, Brooke Smith, Stefanie Poettker and husband Craig, Haylee Smith and special friend Austin, Bret Correll and wife Toby, Cassie Smith and husband Ryan, Sarah Correll, Erica Carpenter, Jessica Carpenter and Keith Carpenter; twenty two great-grandchildren; several step-grandchildren; sister-in-law, Bonnie Merrell of Centralia, Illinois; and several nieces and nephews. In addition to her parents, Ms. Correll was preceded in death by her stepfather, Amiel Schwenke; great-grandson, Baby Connor Carpenter; brothers, Wallace Edward “Wally” Merrell and Willis Gene Merrell and aunt, Francis Tibbits. Ms. Correll was of the Baptist Faith. She baked all the time and made chocolate pies for her family and friends. She was always out in the community and enjoyed going shopping. She could be seen creating her Snapchat filters. She was an avid collector of rings, dolls, bells, light houses and angels. Earlier in her life, she enjoyed bowling. Ms. Correll is remembered as being a hard worker, one who never met a stranger and one who would do anything for anyone. She was also known to be ornery and always spoke her mind, a trait carried on by her grandchildren. She cherished the time spent with her family, especially her children and grandchildren, and did not miss any part of their lives. She loved taking care of her dogs, Brownie and the late Snickers and Lucky. She was looking forward to the birth of her two great-grandchildren. Ms. Correll retired from the housekeeping department of Meridian Automotive Systems and formerly was an inspector and bonder for Boeing Company and Rockwell International, retiring after 25 years of service. She was an union representative for U.A.W. Local 1776 for many years. She graduated with Centralia Township High School’s “Class of 1958”. She lived most of her life in Centralia, Illinois. Celebration of Life Services for Ms. Mildred Ann Correll will be held at 12:00 P.M. on Friday, January 25, 2019, at the Moran Queen-Boggs Funeral Home in Centralia, Illinois with Mr. Joe Russo officiating. Interment will follow in Hillcrest Memorial Park near Centralia, Illinois. Family and friends may visit with Ms. Correll's family from 10:00 A.M. until the time of services at 12:00 P.M. on Friday, January 25, 2019, at the Moran Queen-Boggs Funeral Home. Memorial contributions may be made in Ms. Correll’s honor to Fireside House Alzheimer’s Department in Centralia, Illinois and will be received by the Moran Queen-Boggs Funeral Home in Centralia, Illinois. Please view the online obituary, send condolences or share memories with Ms. Correll’s family at www.moranfuneralhome.net or on the funeral home’s Facebook page.